Lingfield betting tips page with all the Lingfield Racecourse facts to assist you with your tipping and Lingfield betting. If you want to be on the right side of your wagers check out all the stats and facts below. There will be informative horse racing tips from OLBG members with plenty of helpful advice that will assist all punters, whether you are a novice or an expert. 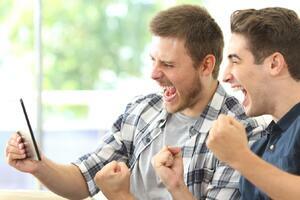 Want to make money from your horse racing tips? Lingfield is the only UK course to hold Flat racing on both Turf and AW (Polytrack) as well as National Hunt racing on Turf. Although the course is in Surrey, it is close to the borders of Kent, West Sussex, and East Sussex. Easily accessible from many main routes (M25, M23, A22) it is not far north of East Grinstead and virtually due west of Royal Tunbridge Wells. It is kept busy throughout the year, and because of the climate is often called upon to arrange fixtures at short notice when other tracks are unfit for racing. The racecourse opened in 1890 initially as a NH track but commenced flat racing 4 years later. The original Equitrack surface, opened in 1989, was the first AW surface in the UK. This was replaced by the current Polytrack in 2001 and relaid in 2012. Highlights: Although still holding meaningful classic trials in May on the turf with similarities between Lingfield and Epsom making Derby trials more meaningful than may otherwise be the case, the highlight of the season is now the All-Weather Championships on Good Friday. Top class horses from a series of qualifying races through the winter meet in 6 races covering different categories. Qualification is by either running a minimum of 3 times during the season on AW or winning one of the 4 ‘fast track’ qualifying races in a specific category. The AW Championships have been held here since the 2013-14 season. It is the most valuable day’s racing held on any AW surface in Europe but caused some controversy by designating Good Friday as the date. Once Sunday racing had been accepted, Good Friday was traditionally the only day away from the Christmas period that did not have any racing. 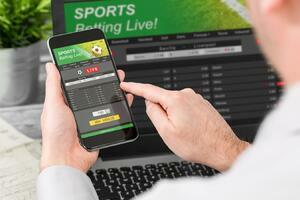 Bookmaker Streaming Services Available from: Betfair, Bet 365. Course: Left Handed, the flat turf course is level for most of the circuit but has a slight climb that leads into a downhill turn to the home straight. The 'All Weather' polytrack is inside the turf track so is triangular generally in shape and mainly flat apart from a slight downhill run before the final turn into the home straight. The NH course has a more level feel to it but does have some undulations. 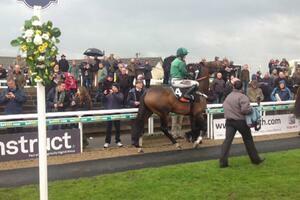 Type of Racing: NH, AW & Turf Flat racing. 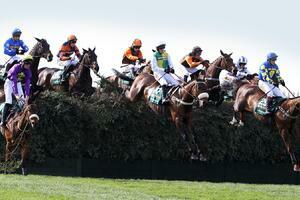 National Hunt. Other than when the ground gets very soft, which it regularly does, the fences are comparatively easy. 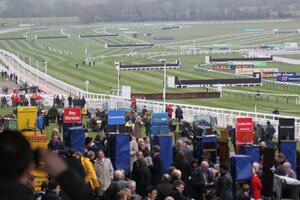 Soft ground on the back straight places much more emphasis on jumping and stamina (paramount on soft or heavy). It is generally not as undulating as the Flat courses but both NH courses are sharper than the Flat course. At about 13f, the chase course is longer than the hurdles course. Turf Flat. The Turf course has similarities with Epsom, having a slight climb to the crest of a hill before a downhill stretch that includes the turn for home. It is essential to keep a horse balanced at this stage. On the straight course, it is probably an advantage to be on the stands side unless a gap on the far rail would see a smooth run through, and for this reason, prominent runners may also have an advantage. All Weather Flat. The AW track lies inside the turf track and is particularly sharp in places. A low draw is a huge advantage in races over 5f, 6f, and 10f that have a bend very soon after the start. Due to the sharp track, races are rarely run at a fast pace, so stamina is not normally a concern. 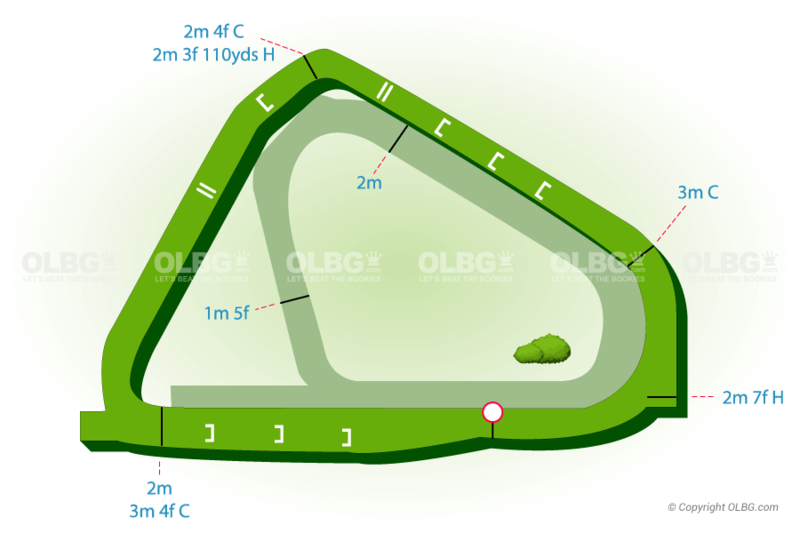 We undertook some research to help OLBG.com members on the Lingfield bias and draw on the 'all weather' track. The sample we used included a total of 78 'handicap' races since the start of 2013 with exactly 8 runners run over the sprint distances between 5 furlongs and 6.5 furlongs. We used handicaps only as the quality of horse would be generally of equal ability as opposed to maiden races where there would likely be a vast degree of varied ability. Now stall 7 and 9 (races with at least 1 non runner) are not incredibly wide in 8 runner races. They did very poorly though in this sample and you should take precaution in backing horses from wide stalls. Stall 8 did comparatively well with the inside draws so this could be down to positioning as regards the run to the first bend or pure chance. Horses getting an easy lead and pushing for home from the final turn can be difficult to catch, front runners that have been 'flat out' for some time do tend to get caught in the Lingfield straight on the polytrack, despite the fairly short run in. 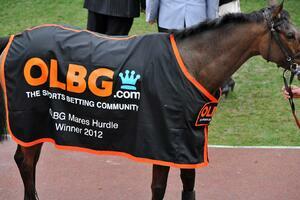 Check the OLBG.com horse racing tip pages, members add helpful information on the races on a daily basis. If visiting Lingfield download the latest OLBG App for live Lingfield tips at the course. Who are the best jockeys and trainers to bet on the all weather polytrack at Lingfield ? Wiltshire based Richard Hannon Jnr has trained the most 'all weather' winners (73 from 412 runners) at Lingfield since the start of 2014, closely followed by Middleham trainer Mark Johnston (65 from 354 runners). However, the trainer definitely worth highlighting who is still fairly new to the ranks is Archie Watson who started in 2016 and has sent out 29 winners from 117 runners (24.79% strike rate) for a nice level stakes profit. In 2018 alone, Archie had 22 winners from 74 runners on the polytrack here at Lingfield at a 29.73% strike rate and a £33 profit to a £1 stakes at industry SP. Newmarket (Godolphin) trainers Charlie Appleby and Saeed bin Suroor have good strike rates (1 winner in 3 runners) and a small level stakes profit over the same time period. Epsom trainer Simon Dow has had 280 all weather runners here since the start of 2014 with over 90 placing (33% strike rate) and shows a nice level stakes profit when betting on the place market on the Betfair exchange. Newmarket trainer Stuart Williams also has a very good strike rate here (37% from over 200 runners) when betting his runners on the Betfair Exchange place market, showing a nice level stakes profit. Who are the best turf flat jockeys and trainers to bet on at Lingfield ? Trainers William Haggas and Richard Hannon Jnr (25 winners from 148 runners) head the list of numerical turf flat winners since the start of 2014, William Haggas (24 winners from 53 runners) has the far better strike rate (45%) and shows a healthy level stakes profit. Richard Hughes and Ed Vaughan have very good strike rates (both over 40%) with their runners finishing in the places for each way punters. Who are the best national hunt jockeys and trainers to bet on at Lingfield ? Sussex trainer Gary Moore just heads the list of numerical national hunt winners (10 from 97 runners) at Lingfield since the start of 2014, closely followed by Seamus Mullins who has the better strike rate (9 winners from 50 runners) and shows a very good level stakes profit. Gloucestershire based Nigel Twiston-Davies also has a very good record with 8 winners from 28 runners (28% strike rate) and a healthy level stakes profit since the start of 2014.